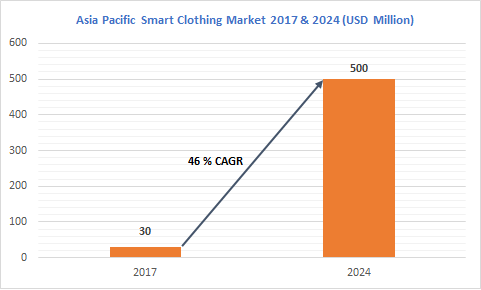 Asia Pacific Smart Clothing Market size will surpass USD 500 million by 2024. Rapidly increasing consumer spending power of the Indian consumers on technically-advanced products to improve their lifestyle is driving the Asia Pacific smart clothing market. The rising awareness of the Asia Pacific consumer base on smart technology benefits accounts for an increase in the consumption of these products, boosting the industry growth. The growing medical and healthcare concerns in China and India due to high pollution and industrial activities are gaining traction in the smart clothing market. The focus of the Indian government on promoting digitization and automation technologies in the country creates several growth opportunities. The development of broadband infrastructure in the region is a major factor contributing to the development of smart clothing market. Smart T-shirts are majorly consumed in the Asia Pacific owing to the cost and health benefits, driving the smart clothing market growth. The products are increasingly used by the fitness and sports professionals to improvise training and workout sessions on a regular basis. They aid in improving the productivity of athletes to undergo intense training. Smart T-shirts comprise technical improvements that enable in controlling smart home applications from distant places without physically touching them. The entertainment industry in India is expected to dominate the smart clothing market owing to the highly-advanced requirements of the professionals. The smart garments are consumed by actors and entertainers to track the daily work & fitness data and improvise accordingly. This sector accounts for large revenue shares due to high spending capacity of professionals for maintaining their lifestyles. Most companies enter into contracts with the industry professionals to endorse new products and offerings in the smart clothing market. 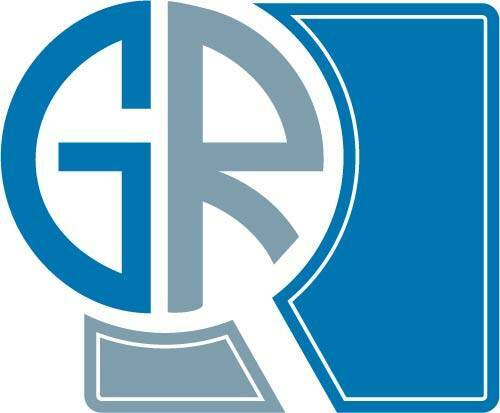 The players operating in the Asia Pacific smart clothing market include Adidas, Nike, Google Inc., Xiaomi, Apple Inc., Athos, AiQ, Everest Textile, DuPont, and Ralph Lauren. These companies focus on providing high-quality smart textiles and garments to the Asia Pacific countries owing to high spending capabilities of the consumer base.